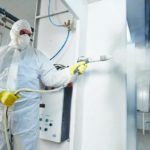 When thinking about powder coating, industrial zones come to mind. The reality of this product being exclusive to industrial industries is far from it. Powder coating is used in everyday products such as benches, bikes, playgrounds, springs, tables, really any metal surface out there. We see powder coating everywhere. Let’s take a look at the benefits of powder coating and why it’s such a popular product. There are thousands of products that are powder-coated. From industry to appliances that benefit from powder coating, the front and side panels of ranges from refrigerators, washer tops, lids, dryer drums, air conditioners, cabinets, water heaters, dish racks, and even microwave ovens all benefit from powder coating. Everyday products are also benefited from powder coating, such are the items, that even lighting fixtures, antennas, and electrical components all require from this product. Computers, golf clubs, golf carts, ski poles and bindings, snowmobiles, bicycles, and even exercise equipment benefit from this coating. All of these and much more products are powder coated. Powder coating gives consumers, businesses, and industries alike one of the most economical and longest lasting quality finishes available for any type of metal. Powder coated surfaces are more resistant to chipping, scratching, fading, and wearing than any other types of finishes. The best part about all of this is that there are an infinite amount of color selection and finishes. The durability of powder coating is almost limitless. This will save you money in the long run. Simply the durability of this product saves you money and helps companies comply and economically grow. With the product being hand in hand within the US regulations Department of Environmental Protection Agency, basically stating; this product is not only economic but environmentally friendly. 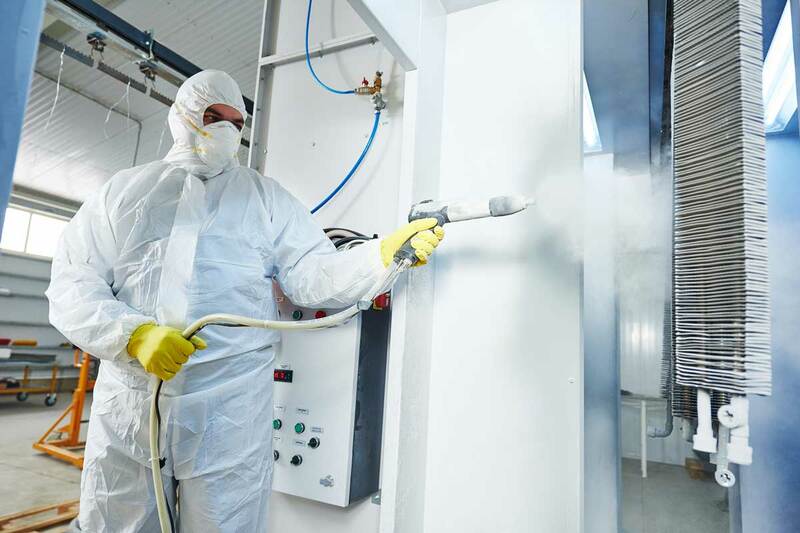 The application and curing process system used in powder coating is nothing like the normal painting process. Powder coating creates a quality finish that is unique and unlike any other paint system in the market. Since the powder melts and flows together, it creates an even surface across the entire unit it is used on. It does not run, it and it does not drip, which is common among liquid based paints. This results in an almost untouched surface, smooth and shiny. Powder coating is extremely easy to maintain, in the short-run and in the long-term. No special cleaners are needed to keep it clean. Instead, powder coating can be easily wiped down with regular soap and water. Since the coating is resistant to water, scratches, and collision you won’t have to worry about rust, or other damage, during its routine cleaning. For most applications wiping the surfaces clean a few times a year is enough to keep them clean and healthy for many years to come. If you’re interested in powder coating Melbourne, you can search through the internet and for the best options near you to have your products coated with powder coating. There is no doubt that powder coating outperforms traditional liquid paints. Finishing your products with powder coating will help your auto-part, bicycles, or virtually any metal, live longer and perform better. Consider powder coating for your next project.